Generally speaking, the term ‘content writing’ could easily apply to all types of writing on the internet. However, as many online entrepreneurs will recognize, everything in the world of business has multiple facets, types and categories, and content is no different. A five hundred word piece of content on any single subject could be written in hundreds of different ways, and only one or two types of content writing will be relevant for the specific purpose or goal you are trying to achieve. Many people who do not realise this make the mistake of using the incorrect content in particular places, and by doing this, they miss out on the success that they could otherwise be generating. One particular type of content writing called ‘Ghost Writing’ is the situation wherein content is written by one particular person, but is used by another person under his or her own name. Often, in the internet marketing world, you can find many writing services that offer SEO articles under the category of ghost writing. The client can then take the SEO articles and subsequently post them on other people’s blogs, in directories or even in his or her own blog. Web content writing or marketing content is a descriptive piece of text based on the idea of advertising or selling a service or product. Often, you will see plenty of examples of this kind of content on websites where the purpose or business of that website needs to be explained and advertised to the general population. 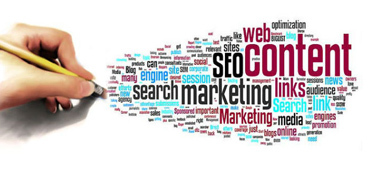 Often, the objective of this particular style of writing is to draw visitors to the business domain through search engine results, but also to ensure that the visitor is encouraged towards a desired action, such as buying a product or hiring a service. Once, in traditional terms, press releases were used within businesses to make customers more aware of the updates and developments taking place within a particular industry or company. Press releases were used to announce the arrival of a new and improved product or department, the expansion of the business, new mergers, important business events that were taking place and new marketing deals. However, in the modern media of today, the term ‘press release’ can be regarded somewhat differently, even though some businesses still commit themselves to following the original format. Press release in new, and digital media are often used as a form of sales pitch by medium or small organizations, allowing them to act as part of the sales-central or marketing areas of content. Technical writing is the type of content that is often restricted to particular complex or complicated industries and technical concepts. The purpose of this kind of writing is to attempt to simplify or convey a complicated idea to the general public, whether they are from the same industry or not. A good example of technical writing in everyday life would be if you were to see scientific evidence or content being written and exposed to mainstream media, allowing information that would otherwise require expertise and advanced knowledge to be recognized and understood by the common man. Although these examples display some of the forms that content writing can take on the internet today, there are constantly new and evolving forms of content to see. This entry was posted in Content Writing and tagged content marketing, Content writing, Content writing techniques, Ghost Writing, Online advertising, Press Release writing, search engine optimization, Technical writing, Web Content writing on July 10, 2014 by Vishal Shah. 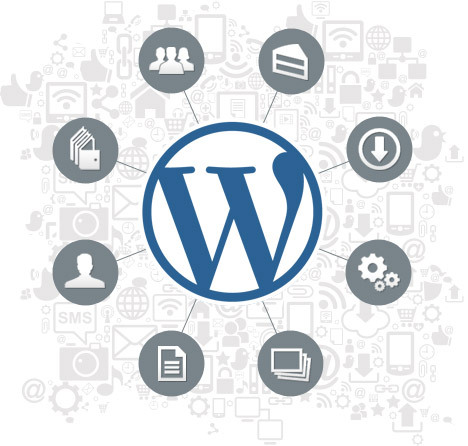 For some people, WordPress is the first and last word when it comes to content management systems for your website. 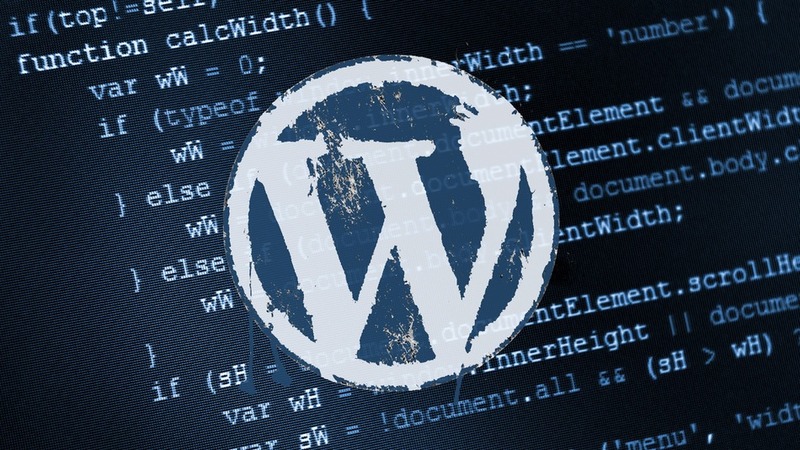 There are various other content management systems, or CMS’ available on the intent, from those that you pay for, to open-source models, and the chances are you are going to hear advertisements everywhere insisting that their option is the best one for you, but most of the time, the other options simply can’t compete with WordPress when it comes to reliability, security and simplicity. Up to this point, web developers from around the world have constructed over fifty million website on the basis of WordPress’ sturdy foundation, and many designers would never dream of using anything else. The top level domain. The TLD or top level domain of a website, is the end of the domain, and the one you will probably be most familiar with is ‘.com’. Usually, because this is the first TLD to come to mind for many people, you will often find that it is highly sought after, meaning many .com domains will already be owned. The root domain. The root domain is the bit in the middle, between www. And .com. This is the part you will have the most freedom over, and the only two restrictions you will come across is that the domain must be unique, meaning it can’t already be owned by someone else, and that it must only consist of numbers, hyphens, and letters. Sub-domains. Sub-domains are the bit that can appear before the root domain and after www. Such as subdomain.example.com. Once you own the initial root domain, you should be able to create these sub-domains at no cost. Sub-folders. Sub folders are the part that is listed after the .com part of your website, such as website.com/sub-folder. The next stop will be selecting the right hosting package for you. Remember that the host you choose should be beneficial to your website, and the key elements you should look for include whether the host you select supports WordPress, how much storage you will be allocated, what up-time percentage you can get and how many domains you can host. When it comes to selecting a company, the best way to ensure that you’re getting good quality hosting is to find out as much as you can about that specific company. For example, try to learn how long the company has been in business for, and what kind of support it is capable of offering. If there is the opportunity to check reviews, then make sure they are positive, and if you can’t find any reviews, consider why this might be. This entry was posted in Wordpress and tagged Domain names, Hosting packages, online business, Online exposure, Social Media Advertising, Social media platform, Wordpress, Wordpress Websites on July 5, 2014 by Vishal Shah. 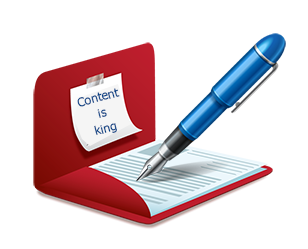 Content writing is an occupation concerns the powerful impact that written words can have within the marketing industry. One of the biggest struggles that content marketers and website owners alike have when it comes to running a successful business is managing to produce enough high-quality content to keep their visitors engaged, interested and coming back for more. Writing content for websites is very different prospect than writing content for other purposes, as the rules of writing on the internet are generally different from if you had to write an essay for someone else, such as the print media. The people surfing the net are often looking for quick, relevant information and exciting reads, meaning that if they don’t find the content on your website interesting enough, all they need to do is close the page and look for something else. 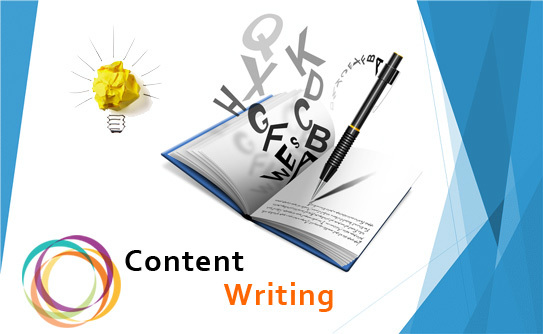 This means that the content writing services that you choose must be adept in keeping visitors glued to the page. Here are some of the secrets that great content writing services use to keep readers reading. The chances are that you have been given this advice before, but the value of a good opening statement really can’t be overestimated. Try to keep them relatively brief, no-one wants to have to read an essay about the article they’re going to read before they even read it, and make sure you’re offering information or answering a question that your reader wants to know about. Speak to your audience in their terms, if you’re writing for people that are generally interested in the state of new technology, make sure you use technological language that they will appreciate and understand. Even though people are browsing the internet in search of particular information, once they find that information, they don’t want to spend the next hour and a half reading about it. Often, web-browsers have other things drawing their attention away from your website as soon as they click onto it, so make sure that your writing is simple enough to follow without being dull or uninteresting. Make them want to know more. This one should go without saying, but it is pivotal that you use original content in everything you do. Visitors don’t want to read something that they’ve already seen on several different sites. They want to read information in your particular voice, from your particular niche that is tailored directly to them. Furthermore, duplicating content can get your website lost in the search results, as often, search engines that see duplicate content on two separate website pages will see that as an issue and bury your pages. Keywords can be essential within your content, but this doesn’t mean that you should use them in every paragraph. If you’re writing for a specific list of keywords such as computer, mouse, keyboard, make sure that you don’t stack the whole group into a list every time that you use them. It is more effective to spread your keywords out evenly and naturally amongst the writing, so that it reads smoothly and feels less awkward and clunky to your reader. This entry was posted in Content Writing and tagged Content, content marketing, Content writing, Content writing services, Keyword content, Online advertising, search engine optimization, Social Media Marketing on July 2, 2014 by Vishal Shah.